In an instant I felt completely worthless. I know toddlers say things without really understanding what they’re saying, but that statement was so deep, so profound and showed such understanding that I couldn’t not take it to heart. It was at that moment that I knew I needed to do something drastic. My son was not the problem. He is perfect. I was the problem. I discovered that my problem was twofold. First, had become so busy that no one ever had 100% of my attention at any time. Not my employer, not my husband, not myself and certainly not my son. I was constantly trying to do two (or three or five) things at once, so my focus was always split. My stress level was through the roof as I struggled to do everything and be everything to everybody. The impossible load I’d placed upon my shoulders reached the point that my crushing anxiety made me feel like I couldn’t breathe. joke that I never really learned how to worry until I became a mother, but I wore my anxiety around like a warm winter jacket in the summertime. Unnecessary, uncomfortable and suffocating. I obsessed over Will’s food intake. Too much? Too little? Every time he didn’t feel like eating I was convinced he was getting sick. Was he too warm? Too cold? Learning the right things at the right time? All of this non-stop worry came out in my behavior with me constantly riding my son about what he was eating, drinking, playing, saying. I was constantly after him to do it this way, not that and micro managing his every bite of food. I monitored his activities and words keeping a constant watch for anything that might be amiss. The impossible load I’d placed upon my shoulders reached the point that my crushing anxiety made me feel like I couldn’t breathe. My sleep suffered. I neglected myself. I was miserable, and so was everyone else. So I figured out what the problems were, but how to correct them? How could I make myself less busy? How could I stop worrying so much when I loved him so much? Is it even possible to just “shut off” anxiety? I knew my life could be so much better than it was, and nothing outside of me needed to change. The only change that could help me needed to happen on the inside. By connecting with other moms instead of isolating myself, my worry and stress was almost immediately alleviated. The anxiety needed to be handled first. 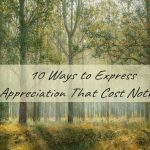 I learned that by connecting with other moms instead of isolating myself, my worry and stress was almost immediately alleviated. Having deeper relationships with other moms and understanding that my situation was not unique was incredibly therapeutic. Suddenly I started to see all of these other women in the same place as me, and we were all okay. We were handling it. We just needed to let our super powers out. My own mom, a very wise resource who also knows how to keep her opinions to herself unless asked, rightly told me in not so many words that I needed to BACK OFF. Having raised nine of us she knows a thing or two about momming. Just hearing her say it brought me to a realization of how irrational many of my fears and behaviors had become. Love and fear cannot dwell in the same space. When I went back to love I found the fear faded, for love and fear cannot dwell in the same space. 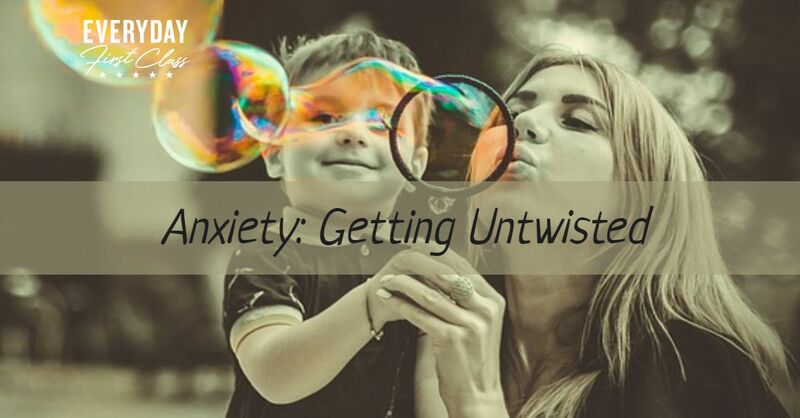 With special thanks to my friend Heather who was there for me in just the right way at just the right time, showing me that even my more realistic fears can be managed, I felt the grip of my anxiety loosening. The more I understood about myself the more I understood about my son and motherhood in general. You can never be 100% safe and that’s okay. In fact 100% safe actually means 100% unsafe because you never learn and you never grow. It’s just as true for my son as it is for me. After a while I found I could breathe again. I still worried, but it no longer consumed me. I knew I was not alone. I knew that I was doing a good job. My son was clean, well-fed and well-adjusted. The crushing weight was lifting, and the only thing that had changed was me. I do have to check myself from time to time, but having strong connections with other moms helps keep me grounded. As the layers of my anxiety were peeled away, I saw what I had been missing: us. Then something magical happened. I started having fun. Suddenly Will and I were having much more fun together. Instead of always wanting Daddy, the laid-back parent, Will would be running to me. (He still wants Daddy. A lot. I’m happy with that, too!) As the layers of my anxiety were peeled away, I saw what I had been missing: us. It was an amazing discovery to realize that not only was my son an incredible kid, I was also a pretty incredible mom. Together, we finally became a team. It was time for the excessive busyness to be addressed. I was working remotely part-time for a pension firm, caring for my son full time (including the hours I spent working) and writing/blogging as well. I was in a position where I didn’t want to give up anything. Then the opportunity presented itself for me to be laid off from my job. I knew immediately it was the right decision for everyone. Through a mutual agreement with my employer my pension career came to an end on January 31, 2018. It was time to step outside my safety zone. I had to leave behind comfort and familiarity and break out into new territory. It felt like God got tired of waiting for me to take the plunge and just pushed me into the deep end. By focusing on my own work it gave me more flexibility to devote time to both my projects and to my son. Eventually I learned how and when I could give 100% to my work and 100% to my son…each with their own time. But I had to give up a guaranteed paycheck and the security that goes with it. Has it been easy? No. Has it been worth it? Without a doubt. How did all of this impact my son? Does Will like me yet? 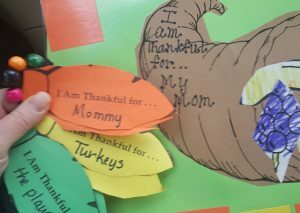 Last Thursday his preschool put on a small Thanksgiving program and dinner for the kids and parents. When the children filed in for the singing part, Will yelled, “There’s my mommy!” and came rushing over to me. I gave him a hug and sent him back up to sing with his class. After two songs he was running down the aisle again, this time because he needed a Band-Aid. When the program was over and we sat down for turkey dinner, they presented us with some things the kids had made in preparation for the event. Even better than this are the random “I love you, Mommy” hugs and kisses. Yes, I think it worked. 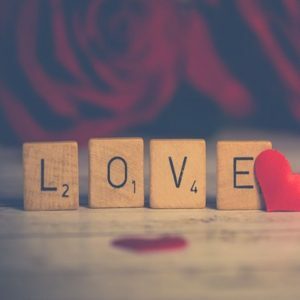 I am loved…but I am also liked. Don’t Worry, Be Happy….Yeah, Right! A First Class YouTube PREMIER! Yes! I want to be better every day – sign me up for the newsletter and give me my FREE copy of Happy NOW! 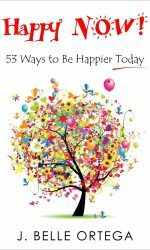 53 Ways to Be Happier Today! © 2019 EVERYDAY FIRST CLASS. ALL RIGHTS RESERVED.